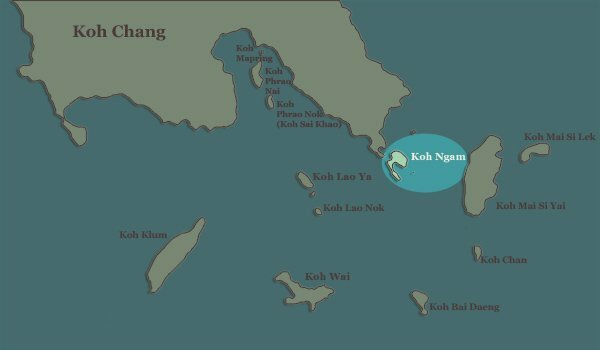 Koh Ngam lies off the coast of Koh Chang, just a couple of hundred metres away from its south eastern tip. Its unique shape of two small mountains joined together by a sandbar, with matching crescent-shaped bays on either side has gained it the moniker of the Koh Phi Phi of the Koh Chang Islands and though this may be a little over egging things, it’s an undoubtedly a beautiful spot. To get to Koh Ngam, you must follow the east coast road on Koh Chang all the way to Long Beach. Once there, follow the track above and behind the bungalows, past the partially constructed Long Beach Resort until you get to the turning to Tantawan Resort. If you head down this road into the resort, you get a great view across the tiny bay to the Koh Ngam itself. They will rent you a kayak too at around 200bt for a few hours. Alternatively, you can stay on the track and continue past the Hat Yuttanany Naval Memorial, until you arrive at the very end. From the rocks, the views are once again superb but the little shack restaurant which also used to offer kayaks, has long since closed down. 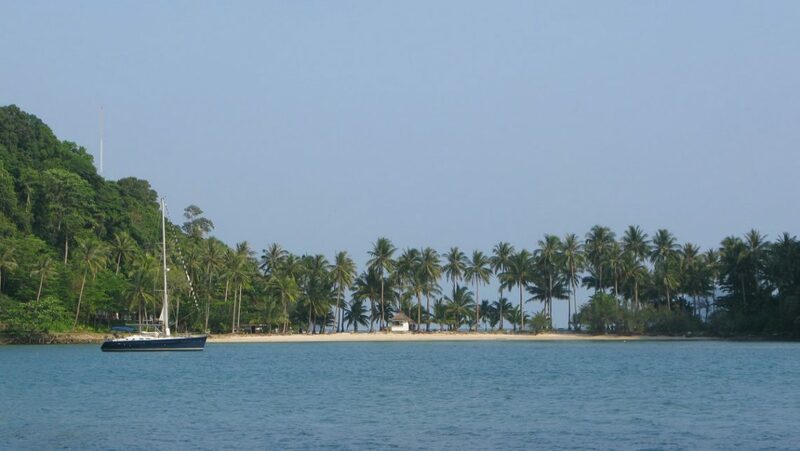 Another method of getting to Koh Ngam is to drive down to Salak Phet bay and hire a launch. Ask at either the Park Rangers by the long pier or at the small restaurant by the car park at Baan Rong Than (Salak Phet Seafood). A day trip which could also include Long Beach, Koh Laoya and the islands in the bay, Koh Phrao Nai and Koh Phrao Nok (also known as Koh Sai Khao), will be 1,500bt. For a bit more, you can maybe add Koh Wai to the itinerary. 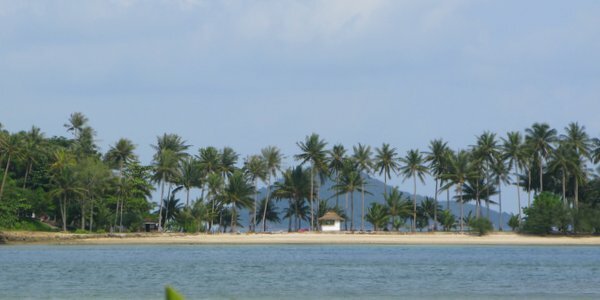 Analay Resort was the only place to stay on Koh Ngam but, as of July 2016, this remains closed, with ongoing land encroachment disputes over between owner and government.